Powerful new integrations with analytics-enabled Illustra Pro IP cameras enable users to monitor large areas based on behavior such as loitering, and powerful search tools make it easy to find important events based on metadata. Administrators can also now better regulate user group ‘live’ and ‘search’ privileges to ensure surveillance video is only viewed by appropriate users. For example, they can grant a user live access to a specific camera but restrict access to recorded video. User group enhancements have also been made to Enterprise System Manager 5.4, which is being released simultaneously, to allow users to be assigned to multiple groups, each with different privileges. This addresses the requirements of large organizations that assign users to multiple groups of separate servers. 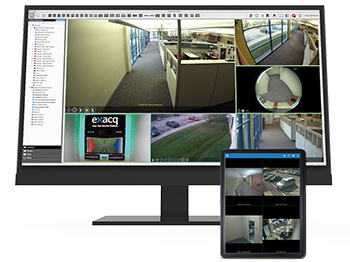 Finally, exacqVision 9.0 further simplifies the configuration process by adding additional information fields to the audio, trigger and alarm inputs and outputs page.